Last year, at the invitation of renowned Cistercian monk Fr. 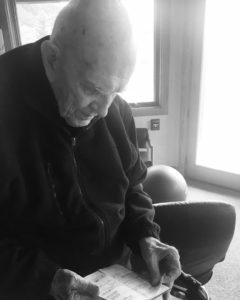 Thomas Keating, four of among the most prominent living western Christian contemplative teachers gathered in Snowmass at St. Benedict’s Monastery. In addition to Fr. Keating, three others gathered in respectful friendship: Rev. Dr. Tilden Edwards, Fr. Laurence Freeman, and Fr. Richard Rohr. 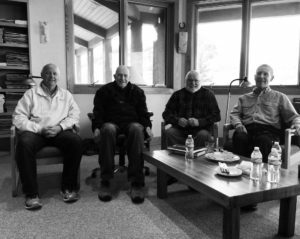 Each of these men are recognized as being at the forefront of the Western Christian contemplative renewal, and each founded respective contemplative organizations. 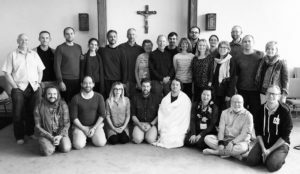 United by their shared commitment to the Christian contemplative tradition and concern for the healing of our world, after their week-long dialogue, they determined it was important to gather a group of younger contemplative leaders. A name for the gathering soon emerged: “New Contemplative Leaders Exchange.” It was important to the founders that this be a genuine “exchange,” learning from one another and the Holy Spirit within each of us. 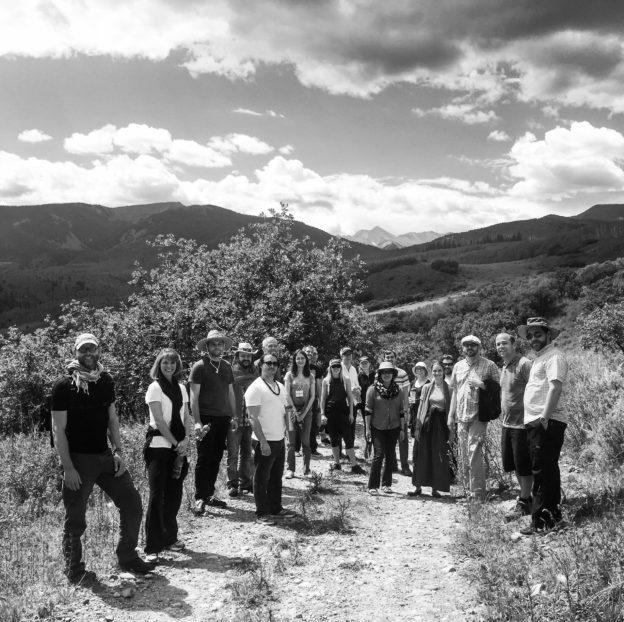 So, August 14-18, 2017, I joined twenty other “younger” contemplatives at Snowmass, along with the four teachers who invited us. We were organized in groups of five or six according to the founder and his organization that we were representing. Rev. Dr. Margaret Benefiel, the current Executive Director of Shalem, was asked by the founders to facilitate our conversations, and the entire gathering was funded by the Trust for the Meditation Process, Minneapolis, MN. As you can imagine, it was an opportunity of a lifetime. I was so honored to be included in the meeting, and upon arrival was greeted by some of the brightest and most compassionate Christians I’ve ever met. While it was obvious that we were not the only younger leaders on the contemplative landscape, it was apparent that our relationship with the teachers was one of trust. We had been invited out of the inspiration that emerged among the elders the year prior. They wanted to identify a few younger contemplatives who could be entrusted with their wisdom lineages in order to nurture and advance the movement in the coming years. Following are the next generation contemplative leaders who were present at the Exchange, representing the corresponding founders and their organizations. During the course of four days we began each morning at 6:30 for meditation, followed by grand silence through breakfast until beginning our dialogue for the day at 9:30 am. Two more meditation or silent prayer sits punctuated the days, in addition to prayer and Eucharist with Fr. Thomas’ Cistercian, (Trappist), community. During the first complete day, the left brain came out in full force with each group proposing important issues of concern for the future of the contemplative movement. Chief among the issues included addressing two elements in the movement’s shadow: one that is dominated by white middle and upper class Christians and lacking concerted action for social change. Several recognized the poverty of our friendships and the need to join with more leaders of color to be able to do the collective healing our world needs. We cherish the gifts of the Christian Contemplative Tradition. We honor the lives and work of our founders who have evolved this tradition. We desire to participate in evolving this contemplative tradition and make it accessible to the masses because we believe in its relevancy and transformative depth. We recognize the poverty of our friendships in this Exchange and desire to heal divisions with historically oppressed people unrepresented through humble, open, dialogue, friendship, and co-creating communion paradigm models (social justice). Our ideas shape reality. Incarnational theology and embodied mysticism require paying attention to the bodies around us. Teresa Pasquale Mateus’ leadership with the Mystic Soul Conference coming up in January 2018 was mentioned, and members were invited to consider attending the conference to listen, learn, and build community. By the second day, a significant shift occurred. The right collective brain awakened (no doubt due to our collective prayer sits). This day was marked with vulnerability, deepening friendship, and a commitment to supporting one another. 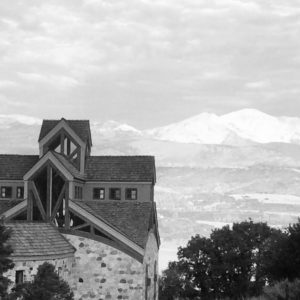 Being located in the sacred valley of Snowmass, drenched in solitude, silence, and stillness and years and years of collective prayer, and participating in a minimum of ninety minutes of meditation each day, served to help open us to the intuitive, spiritual dimension of our collective body. So that by the final day, we were grounded in friendship and deeper trust, and unified in a collective desire to work together in service of the healing of our world. But of course, four days for a group of unfamiliar people is hardly enough time to tackle the challenges before us. Select a representative from each of the four groups who will be responsible for connecting us to the larger body. Continue to nurture the small group entities (organized by the founder we were representing) for deepening friendship, mutual support, and possible initiatives. And to look for ways in which we can all collaborate at greater levels, keeping in view the larger contemplative landscape and its leaders who were not in attendance at this meeting. Since the founding of Shalem in 1973, Contemplative Outreach in 1984, Center for Action and Contemplation in 1986, and World Community for Christian Meditation in 1991, we have spanned nearly half a century. 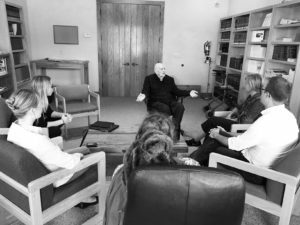 These renowned Western Christian contemplative teachers and their respective organizations have determinedly helped to renew the Western Christian contemplative tradition for our time. And in all those years of sacrificial service, 2016 was the first year all four of the founders had ever been altogether. 2017 marks a huge shift in connection, friendship, networking, and support for the contemplative movement. 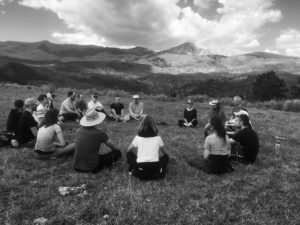 It seems only natural that we can anticipate a compounding effect of our meeting this year—the beginning of a commitment to unite contemplatives everywhere in our shared desire to be of service to the evolution of consciousness, and to heal our world through contemplative practice and compassionate action. This entry was posted in Activism, Centering Prayer, Contemplative Activism, Contemplative Prayer, Reflect, Social Justice, Uncategorized and tagged activism, colorado, contemplation, contemplative, contemplativeactivism, laurence freeman, mystic, mysticism, richard rohr, snowmass, st. benedict's, thomas keating, tilden edwards on August 25, 2017 by Phileena Heuertz.